Firms Should Develop Strong Working Relationships with Their Local APS Agencies and State Securities Regulator and Cooperate in APS or Other Investigations that May Involve a Firm’s Client or Customer. Combatting financial exploitation involves cooperation among the private sector, regulatory agencies, APS, and law enforcement. 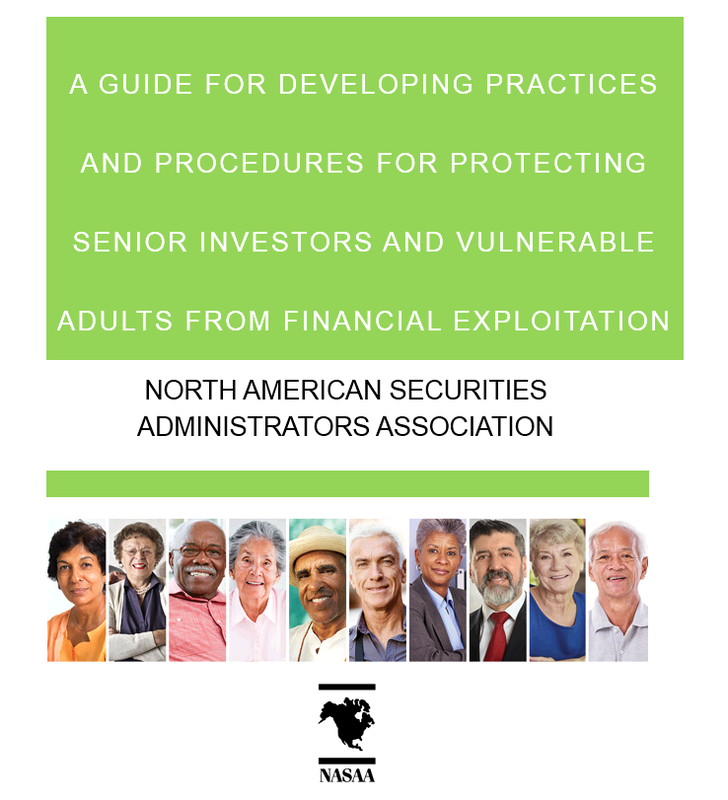 With that in mind, and in an effort to strengthen relationships between the securities industry and state APS offices, this Guide contemplates, and NASAA’s Model Act requires, that firms provide APS and law enforcement the relevant documents related to suspected financial exploitation. Regardless of whether mandated in state law, firms should develop strong working relationships with their local APS agencies and cooperate in APS investigations that may involve a firm’s client or customer. With the goal of fostering cooperation and better communication, a firm’s policies and procedures should include specific guidelines and requirements regarding how to respond to inquiries from APS agencies, securities regulators or law enforcement whether the inquiry is instigated by the filing of a report of suspected financial exploitation or otherwise. Such cooperation will address a major concern raised by APS agencies regarding the reports of financial firms and the firms’ the lack of engagement following an initial report: particularly, in the experience of some APS agencies, financial firms report, but fail to respond to follow-ups or requests for additional information in a timely fashion. Given the often urgent nature of financial exploitation, maintaining clear, open communication channels is critical, and firms should develop policies that promote this communication.